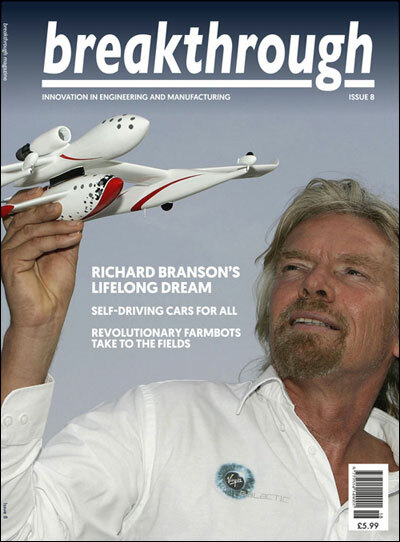 Sir Richard Branson saw a lifelong dream come true as Virgin Galactic crossed a new frontier recently. It became the first vehicle built for commercial passenger service to reach the edge of space. 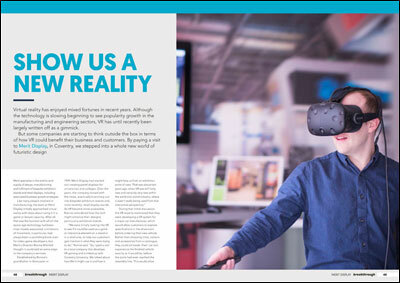 In the same issue of Breakthrough magazine, you can discover how our team at Merit are also pushing the boundaries of innovation to allow you to experience the benefits of Virtual Reality, particularly during the development of exhibition stands. And Andrew Thomas, Exhibition Sales Director, added: “Technology will open up the exhibition world to businesses that might otherwise not have been able to exploit the potential. The technology will transform what people can do at exhibitions. “Say you’d normally invite your best customer to your premises to give them a factory tour. With this technology, you’ll be able to attend the show and give people the same tour, virtually.